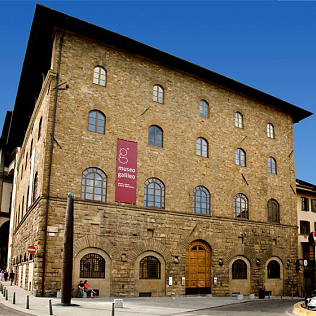 The Galileo Museum in Florence is an international reference on Galileo Galilei and the history of science. Five centuries of scientific collection are permanently displayed here, thanks to the Medici and Lorraine families. The Medici collection began in the 16th century, first in Palazzo Vecchio, then at the Uffizi and finally in Palazzo Pitti with the foundation of the Accademia del Cimento in 1657. In the 18th century the Lorraine family kept collecting and the Grand Duke Peter Leopold of Habsburg-Lorraine founded in Torrigiani Palace a veritable Museum of Physics. The adjoining workshop was attended by astronomers, physicists and inventors of great stature. In the 19th century was built the Tribune of Galileo to display all of his most renowned instruments and artifacts. But after the unification of Italy in 1861 the collections were broken up and abandoned, until the foundation of the Institute of the History of Science in 1927. The aim of the institute was to collect, catalog and restore this important scientific collection, up to the current Galileo Museum opened in 2010, that inherited and preserves today all those masterpieces of scientific culture. The collection displays all the instruments realized by Galileo Galilei, as the huge selection of telescopes, along with old globes and carved celestial spheres, not only to admire but also interactive thanks to educational workshops.